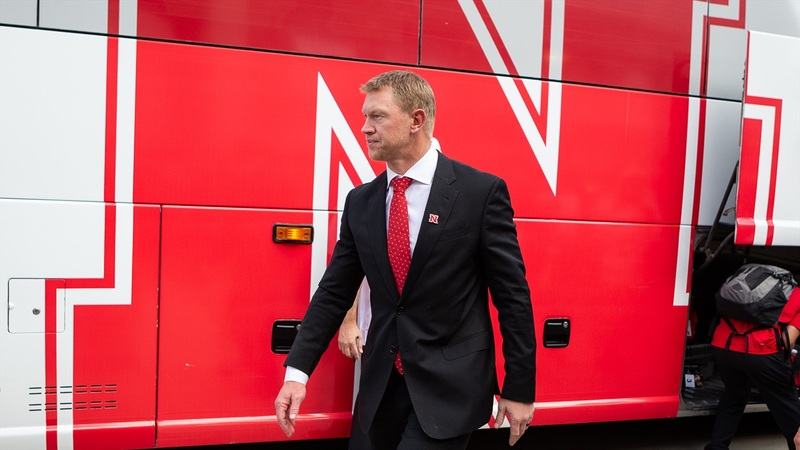 Nebraska football held its final practice of the week in preparation for a second chance at a season opener as the Huskers welcome old Big Seven/Eight/12 rival Colorado to Lincoln on Saturday. The Buffaloes opened the season with a 45-13 win over Colorado State in Denver last week. The Huskers and Buffs are playing for the first time since Nebraska's 45-17 win in Lincoln in 2010. That game was the Huskers' last as a member of the Big 12. 0:00 Recap of the Huskers' week of practice. 0:30 Selecting captains and what Frost has seen from them thus far. 1:05 The importance of running the football. 2:05 Impressions of Colorado QB Steven Montez. 2:25 Having better practices despite not having a game last week. 3:00 Playing Colorado given the two program's history. 3:45 Evaluating Colorado's weapons on offense. 4:14 Any nerves on the part of the coaches to finally coach a game again? We'll have more from Thursday's practice throughout the day.